Welcome to the official Gramaldy jewels online shop on www.catalinagrama.com/shop! By placing your order with us you must understand that you are accepting these Terms and Conditions. When you do not accept these Terms and Conditions in full, you will only have permission to access the contents of this website but you will not be aware of the laws and rules that apply to using this website. If you do not agree with our terms and conditions you should better cease using it immediately. The Gramaldy jewelry line is created and designed to please your passion for beautifully crafted handmade jewels that share their good energy with you. The Gramaldy creations are made only of the finest gold, crystals, gemstones and precious stones. Catalina Grama, the creator of these unique designs is a passionate gemstones and jewelry collector. She believes in the positive energy that all these nature wonders bring to our lives and she wants to make them gracefully yours by shaping nature’s wonders into something precious to keep close to your heart and dreams. Gramaldy was born out of this beautiful belief in your own good energy. The jewels are only the precious shape of it. Wear them, share them and let them make you happy and always peaceful and graceful. The prices payable for goods that you order are as set out in our website. All of our prices are in Lei (RON) the Romanian official currency. You will be billed in Lei if you purchase and make a return in Romania, and if you purchase from outside the Romania, currency fluctuations will depend on the currency changes available at that date on the official currency changes websites. Please see our Delivery section for information on timings and costs of delivery. Gramaldy is currently working on the secure online payment system. For now you can pay cash on delivery when you receive your order or in advance by payment order to our account. You will find everything necessary below in our “Customer responsibility” section. The relevant currency is determined by your destination and your currency, but invoices and refunds will be done in EUROS. Invoices and refunds from Romania will be done in LEI. All Gramaldy jewels are custom-made and/or handmade so please allow us 10-15 working days to gracefully complete your order. However we cannot be hold responsible for delaying your order because of transportations reasons or because something impredictible happens. If so you will be informed by phone or email by our customer services. The product prices do not include the transportation costs. All these costs will be established depending on the order’s destination. You can order our jewels directly from our online shop on www.catalinagrama.com/shop, by email at orders@gramaldy.com or by phone at +40722644824. For international orders please write to us directly at orders@gramaldy.com. Gramaldy is currently shipping all over Romania with the support of Fan Courier. All the transportation to Romania are free of charge. For more details concerning the system provided by our delivery partner please enter http://www.fancourier.ro/en/. We do not deliver to post office boxes. Gramaldy is currently shipping all over the world. All the transportation costs will be calculated based on your country’s destination. Please contact us for international orders at orders@gramaldy.com. Please be aware that for the deliveries to the U.S. the customer is responsible for all applicable customs duties and taxes. Shipping costs, customs duties and handling fees will not be refunded by Gramaldy in the unfortunable case of a return. Our complete and special Gramaldy service guarantees your total satisfaction with our products and services. In the unlikely event that you are unhappy with your purchase, you can return the items to us within 14 days of receipt of order and we will be happy to offer you either an exchange or full refund minus any postage costs, providing the goods are returned in perfect condition with the security tags still attached and in the original packaging. These pieces are Special Orders, which means that the item will be made or customised especially for you; because of this, these pieces of jewelry cannot be exchanged or returned under any circumstances. We strongly recommend that you send your order back to us by recorded delivery. We cannot accept responsibility for parcels lost in transit. A prompt refund will be issued within 14 days if the item is in its original condition and all the information referred to above is received. If there are any problems with your refund, a member of customer services will contact you. For all returns, except where the item is faulty, you will be required to arrange and pay for the return of the products to us. The advertising of products on this site is an ‘invitation to treat’. That means your order is an offer, not a contract of sale between you and Gramaldy so prices and stock availability won’t be contractually confirmed until you receive the ‘confirmation of order’ email and the despatched authorisation has been confirmed and the production capacity has been checked. These terms and conditions cannot be varied except by changes made by Gramaldy on the site, which we may make from time to time. In particular, nothing said by any representative of Gramaldy will operate as a variation to these terms and conditions or constitutes a legal representation on behalf of them. If you realised you made a mistake and want to cancel your order, please contact us at cancellations@gramaldy.com. All Gramaldy jewels are custom-made but if we despatch it more quickly than we presumed, it may not be possible to stop your order, so, in those instances, please follow the instructions for ‘Returning an item’. If you should receive an item that is defective, damaged or not what you ordered, please contact us within 10 days. Customer Services will help you resolve any issues as quickly as possible by replacing the item or refunding the amount paid. The faulty item will need to be returned to us by post to the returns address above. customerservices@gramaldy.com or call on +40722644824. Representatives are available 8.30am to 19.00pm (GMT) Monday to Friday. In case you don’t have one nearby just use the following instructions and look at the example photo below. 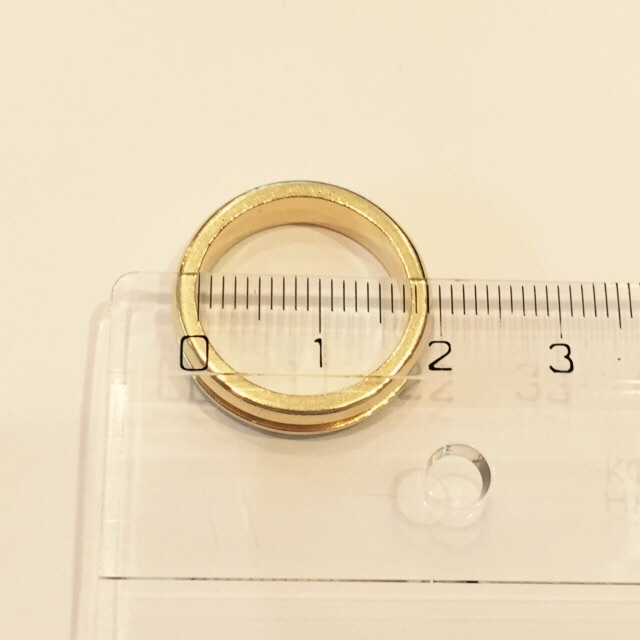 Measure a ring that fits you perfectly like in the example photo. Be sure that your ring’s shape was not deteriorated in time. Measure a round-shaped ring that really fits you. To be sure send us the order by mail at orders@catalinagrama.com or if you have more questions please contact us by phone at +0722644824. 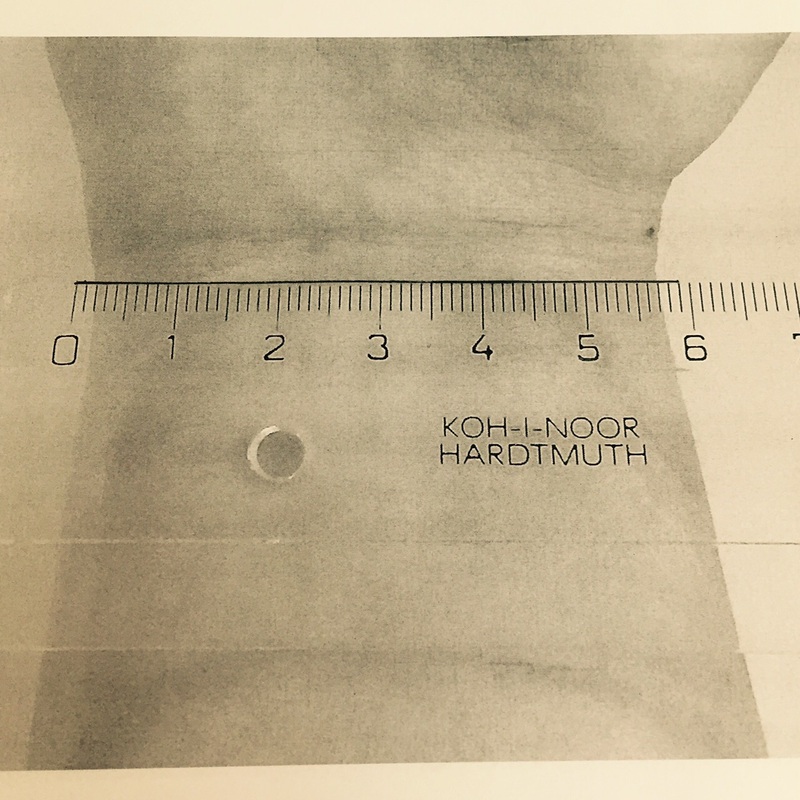 Please measure carefully the inside part of your wrist with a ruler just as in the photo bellow. Start measuring 2 mm after 0 for a perfect fit. 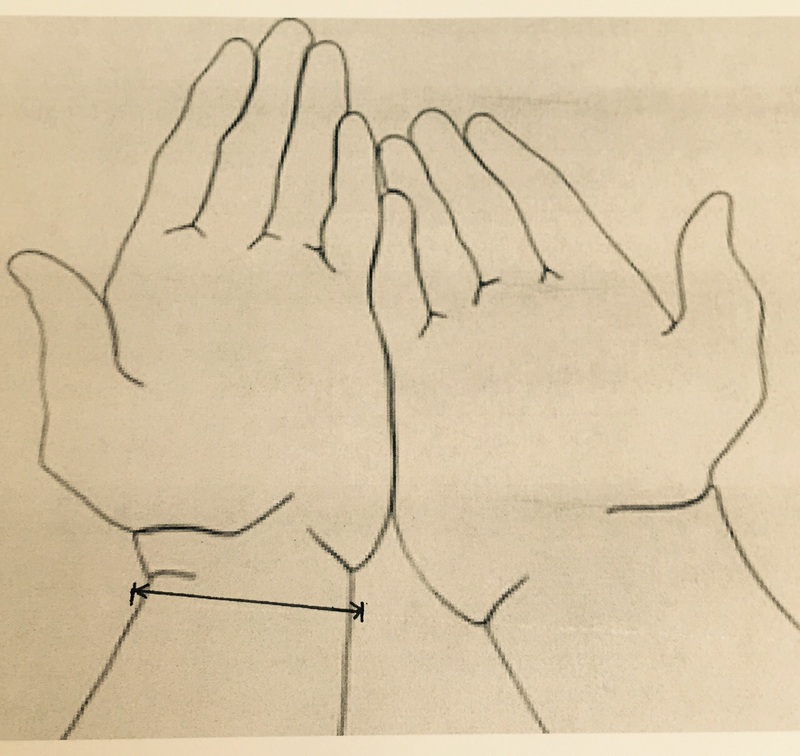 If you have more questions about how you should measure your wrist please contact us at +40722644824. Necklaces are usually standard sizes, but if you would prefer to have another size made for you please write to us at orders@gramaldy.com or call us at +40722644824. If you are not sure of your measurements please contact our customers services for help and advise by email at customerservices@gramaldy.com or by phone at +40722644824. In the unlikely event that you are unhappy with the measure you’ve purchased we can modify the product for you but all the modifications will represent an extra cost. If you return the item for modification you will also have to pay for the transportation costs. All stone colors depend more or less on the display of the device you are using to enter our online shop. All the stone colors are beautifully natural so they should be the same when you receive the jewels you’ve ordered. We cannot accept refunds based on such a reason, so we strongly advice you to choose carefully and to examine more than once the photos of our products to be sure. Gramaldy work to keep the online store up to date but cannot guarantee that this site and its contents are completely free of technical errors, incorrect prices or information. By using this site, you acknowledge that you assume full responsibility for all costs associated with all necessary servicing or repairs of any equipment you use in connection with this site. We are also not liable for any damages associated with use of this site however caused. If you are not satisfied with the site, then please email us with your comments at customerservice@gramaldy.com. However, your only legal recourse is to stop using the site. For international orders, Gramaldy cannot guarantee that the sale and delivery of its goods to your particular country or location is permissible, so please be aware of your own geographic import restrictions. This site and its contents will not constitute the basis for any contractual commitment between Gramaldy and any prospective customer in any jurisdiction in which the solicitation of interest or the offering of or sale of products by Gramaldy would contravene any applicable local, regional or national legislation. No prospective customer should seek to make any order through the site from jurisdictions in which it would be illegal for Gramaldy to sell products. The Gramaldy brand is a property of the Grama Vision company. All materials including images, illustrations, designs, layout, photographs, written and other text or script that are part of this site are protected by copyright, trade mark, trade dress and/or other intellectual property rights owned, controlled or licensed to Gramaldy. The site as a whole is protected by copyright and trade dress, all worldwide rights, titles and interests in and to which are owned by Gramaldy. The contents of the site www.catalinagrama.com and the site as a whole are intended solely for personal, non-commercial use. You may download or copy the contents and other downloadable materials displayed on the site www.catalinagrama.com/shop for the sole purpose of placing an order with Gramaldy or using the site as a shopping resource. No right, title or interest in any downloaded materials or software is transferred to you as a result of any such downloading or copying. You may not reproduce (except as noted above), publish, transmit, distribute, display, modify, create derivative works from, sell or participate in any sale of, or exploit in any way, in whole or in part, any of the contents, the site, or any related software. For all other inquiries or information please contact us at +40722644824 or by email at orders@gramaldy.com. We’ll make sure you will receive your answer in maximum 24h after we’ve received your email.